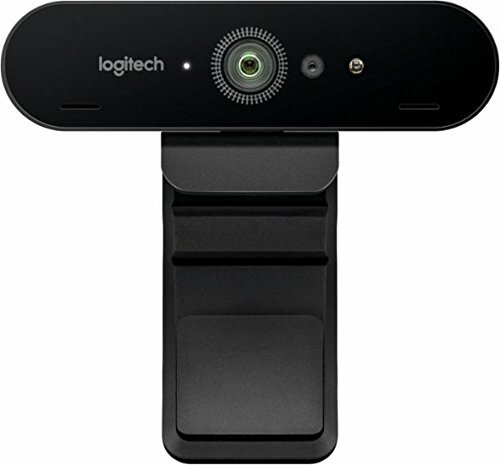 THE WORLD'S FIRST 4K WEBCAM Produce professional-quality video for streaming, recording, broadcasting, or video conferencing with the most advanced webcam available. Logitech 4K Pro Webcam is loaded with features that produce beautiful video in any environment. Our first 4K ultra high-def camera features 5x digital zoom, high frame rates, and RightLight 3 with HDR helps you look your best in any illumination. 4K ultra high-def video to meet your highest standards for home or office, whether streaming, recording, or video calling. Tough security requirements with its support for facial-recognition software. Infrared detection and compatibility with Windows HelloTM provide a reliable safeguard against unauthorized logins and access to secure information. Clean, clear video in the busiest location. Use multiple field-of-vision options and 5x digital zoom to focus on what matters.